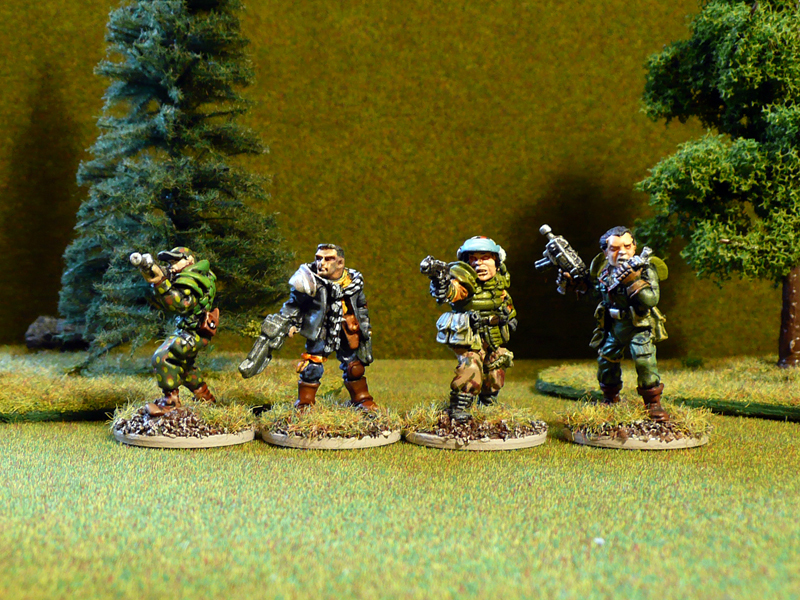 These are regular rank and file troops for now. 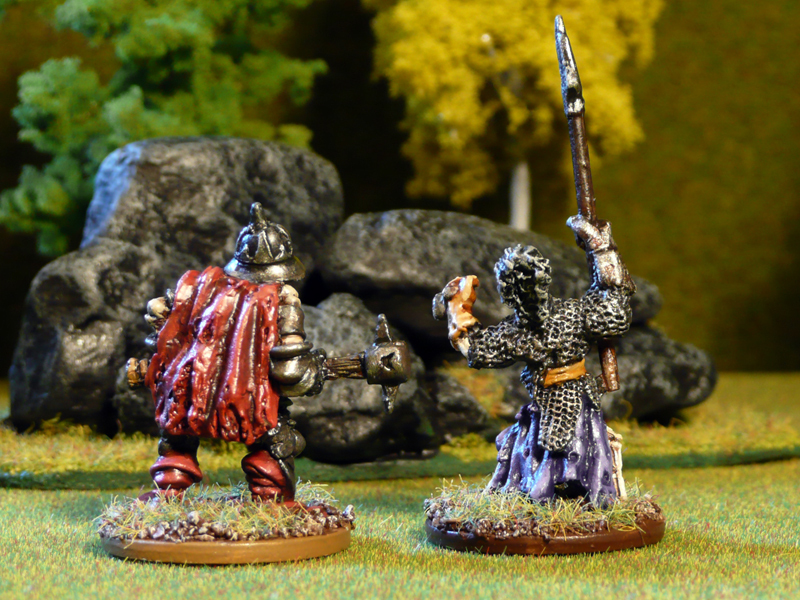 If I get enough skellies painted up before we play, the guy with the helmet and red cloak might be promoted to hero, or atleast upgraded with heavy armour stats. I digress… two more pics. Click the thumbnails to see a bigger version! If you’re wondering about the differently coloured bases, I’m looking for input on which colour to use. I’m leaning towards the light brown of the skeleton with the red cloak. Would have to repaint the edges of a few bases, but that’s not a problem. Let me know if you don’t agree and prefer the light tan of the previous posts, or the darker one of the skelton above with the spear. Anyways, I have more this time! First, a shot of what’s coming next. The two skeletons mounted on thread rolls are what I’m working on at the time. 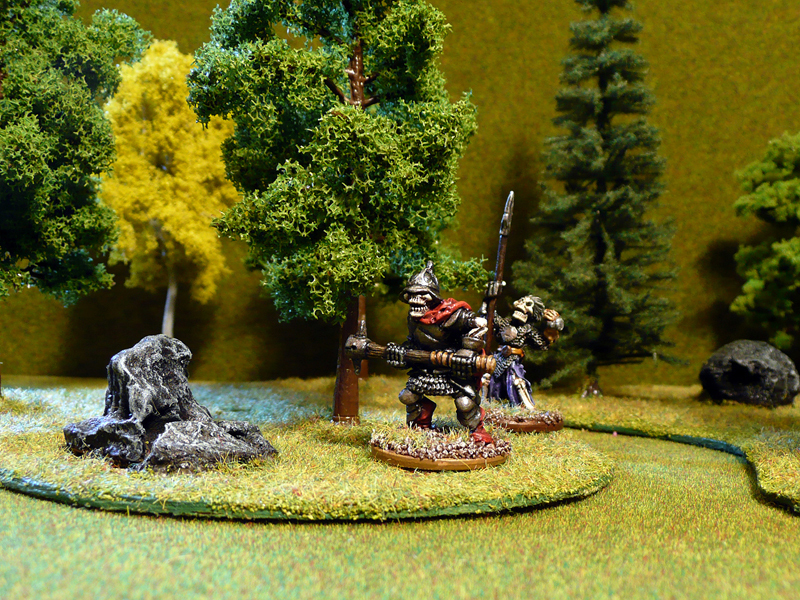 I also have a casualty miniature which will be used in the first or second Stillburg scenario as an objective marker. It’s old farmer Crabcocks wounded son, Billy Crabcock. 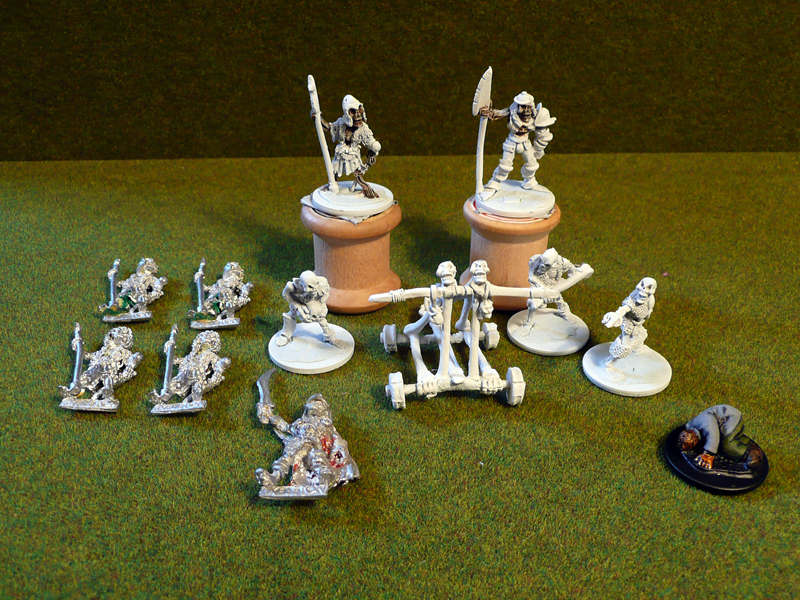 Once those are finished and if nothing else have arrived, I’ll get cracking on the skullchucker and crew. However, I hope more of our intrepid heroes will arrive soon. They look pretty good, but I’ll touch up the eyes at some point. Not now though, when I have plenty of bare metal to paint! 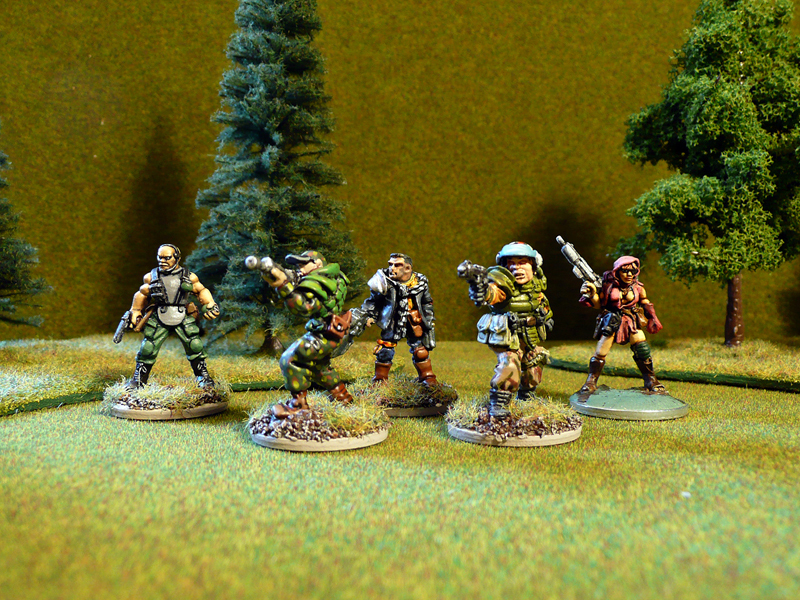 Speaking of that, here’s a group shot of Fredrik’s almost finished gang. I just need to sit down and finish up the one-eyed lady to the right and they’re good to go! Pulp Alley: On McKemmler IV they eat astro badgers! Golden Horns of Bashálot, part two. Theodore of Konstipah and a merry x-mas! Recently I have mostly been getting... some top stuff! Recently I have mostly been getting... more plastics! Recently I have mostly been getting... nothing. 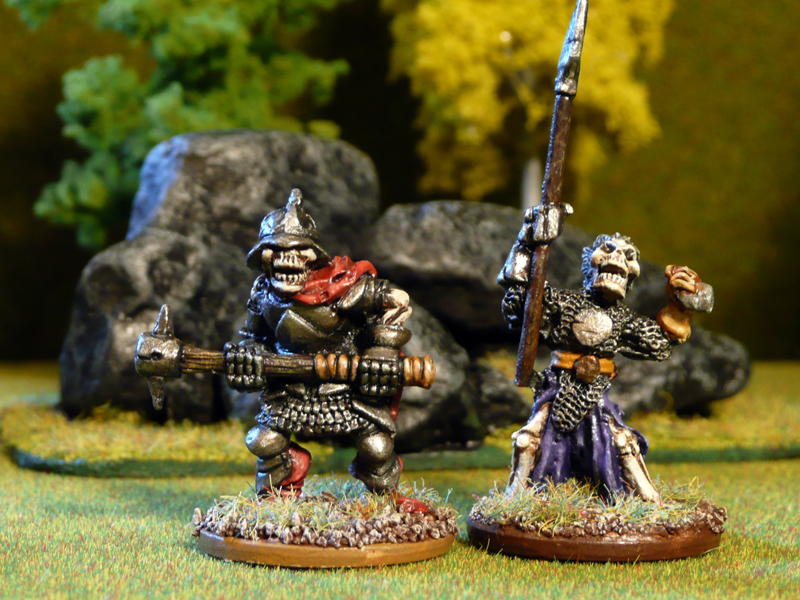 A few weeks ago I was mostly getting... Olley barbarians! This week I have mostly been getting... skaven and dwarves! The retrozine challenge - accepted! This week I have mostly been getting... Olley stuff! This week I have mostly been getting... pirates! This week I have mostly been getting... a minstrel! This week I have mostly been getting... an orc! Last week I mostly got... random stuff! This week I have mostly been getting... two zombies! This week I have mostly been getting... more Blood Bowl! This week I have mostly been getting... Blood Bowl! This week I have mostly been getting... a plethora! This week I have mostly been getting... chaos! 'Tis the season to be goblin! Zombie, Lou and a Metal Magic militia man. Fatgit Rumblegut - scourge of the Stillburg pantries!